HOUSTON, Texas – The Rice University athletics ticket office is reported a successful bowl game ticket operation for the 2012 Bell Helicopter Armed Forces Bowl. The Owl football program finished the year on a strong run, winning six of their last seven games, including a convincing 33-14 bowl game victory over Air Force. 4,559 tickets were sold through Rice athletics and their ticket sales partner Collegiate Consulting and over 5,000 fans attended the postseason matchup in Ft. Worth that saw the Owls win their sixth bowl game in program history. 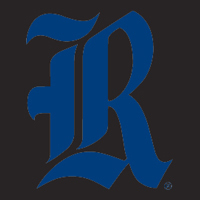 Athletics department representatives indicate that the success in ticket sales could not have been achieved without the help of the Rice University Alumni Office, which provided the sales team with alumni information throughout the process. Collegiate Consulting is excited to be entering its second year in partnership with the Rice football program in outsourced ticket sales, as the athletics department has just announced the availability of 2013 season ticket premiums. The Atlanta based consulting firm will now look to capitalize on what looks to be another successful Rice baseball season this spring, as preseason polls have the Owls ranked in the top 25 nationally.